"Orvieto's mastery of his instrument was awesome." "Aldo Orvieto's accompaniments are very strong." Composer Camillo Togni synthesized chromaticism and atonal techniques in his various piano compositions. 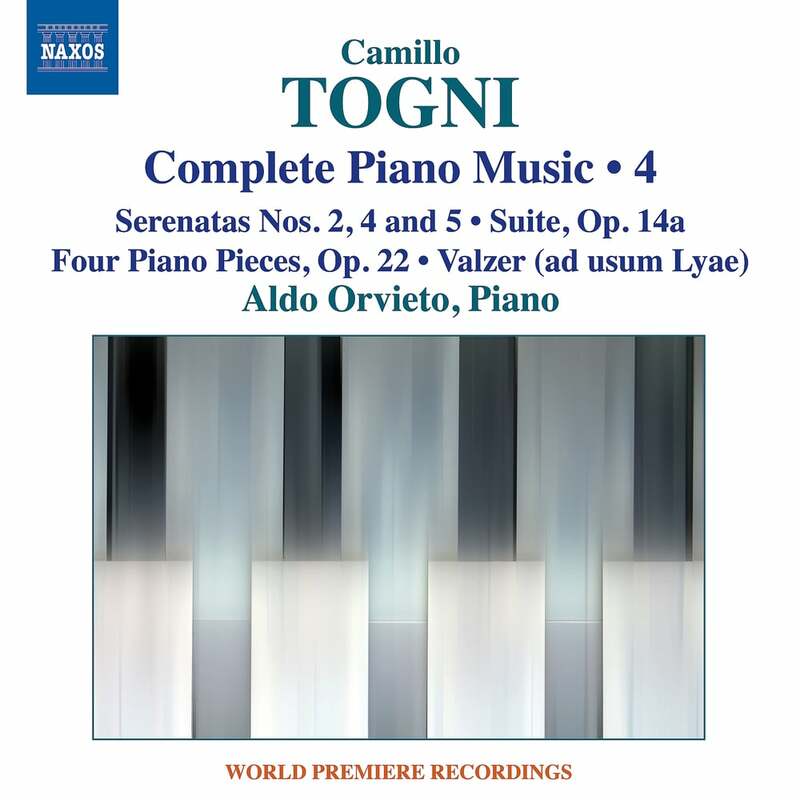 Pianist, Aldo Orvieto pays tribute to Togni's musical style in this new album. Listeners can hear the complexity and elegance of these lesser-known works through Orvieto's dedication to Togni's original musical intentions.